1. Jackpot! 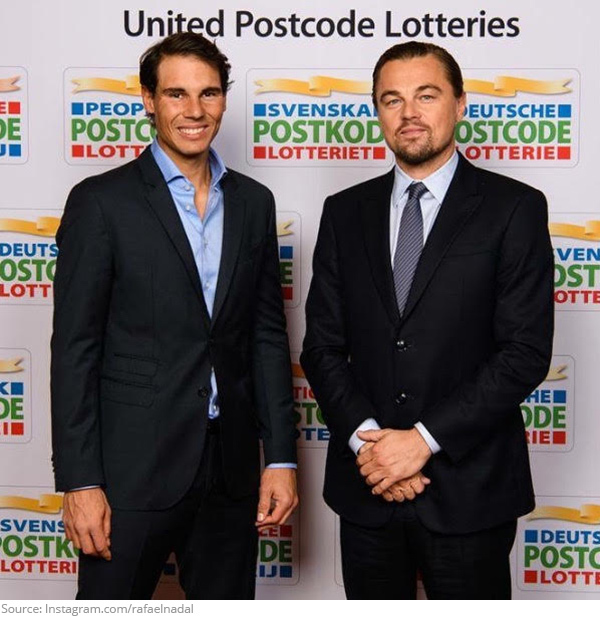 When Rafa Nadal and actor Leonardo DiCaprio came together for the Goed Geld Gala, it felt like we all won the lottery! 2. Love at first lick! 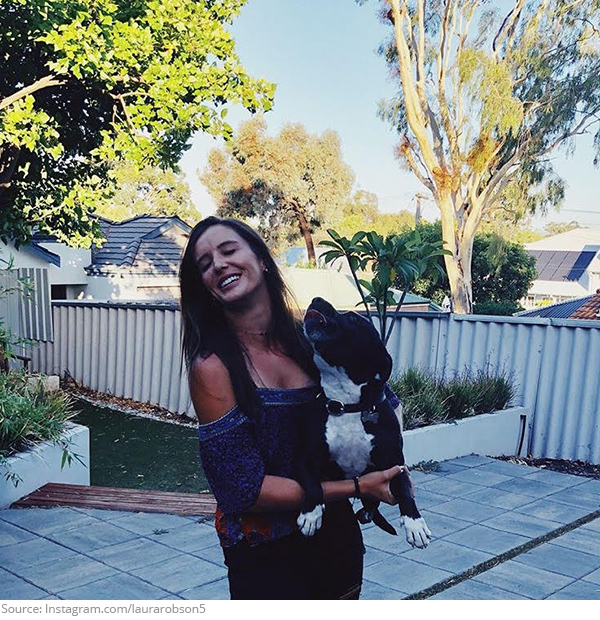 Valentines Day brings out a lot of puppy love, just ask Laura Robson! 3. Pitch perfect! 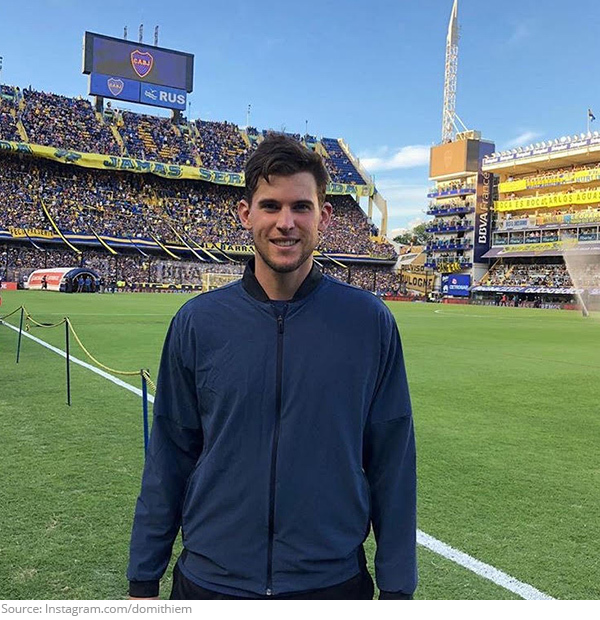 Dominic puts the Thiem in team spirit as he watches a futbol game! 4. Return game! 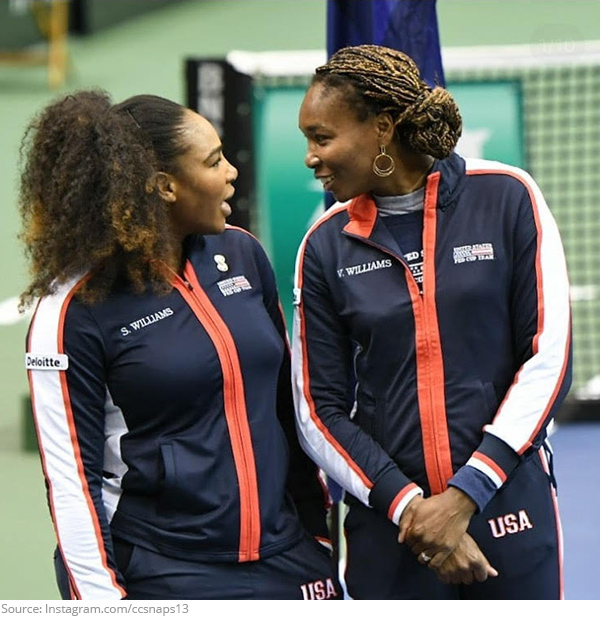 The excitement doubled when Serena Williams joined her sister Venus at the Fed Cup tie! 5. Read between the baselines! 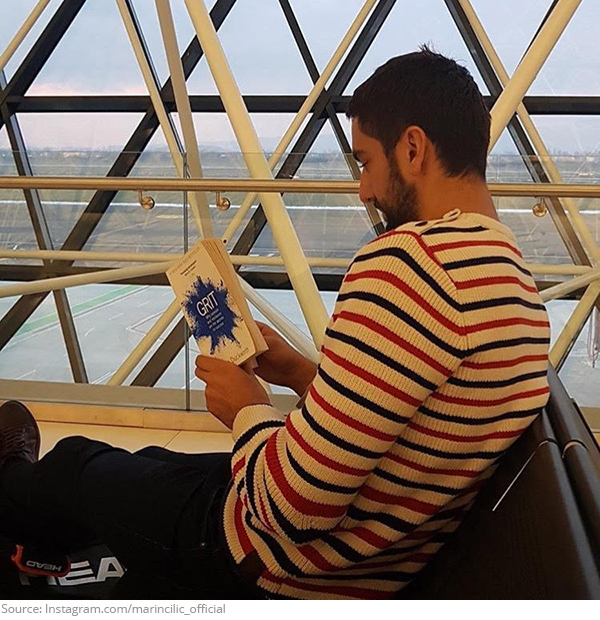 Take a page out of Marin Cilic's relaxation guide, you can never go wrong with a good book! 6. Talking shirt! 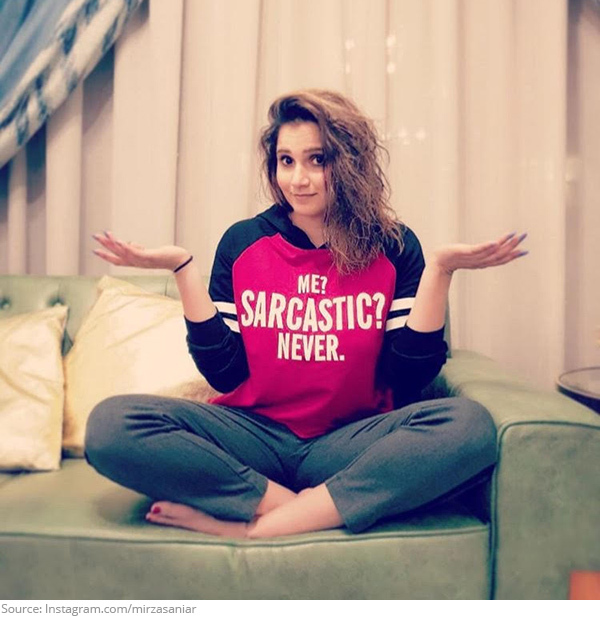 Sania Mirza would never lie to us! What would give you that idea? 7. Ballers! 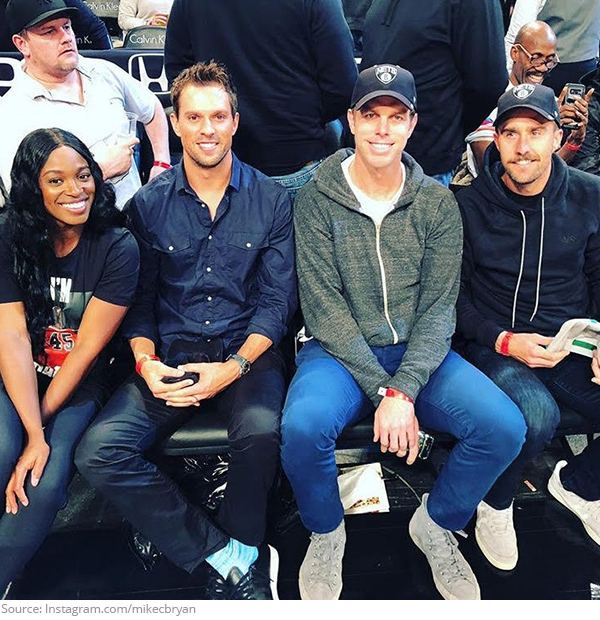 Sloane Stephens, Mike Bryan, Sam Querrey and Steve Johnson were in a New York State of mind this week when they attended a Brooklyn Nets game! 8. Love-all! He liked it, so he put a ring on it! 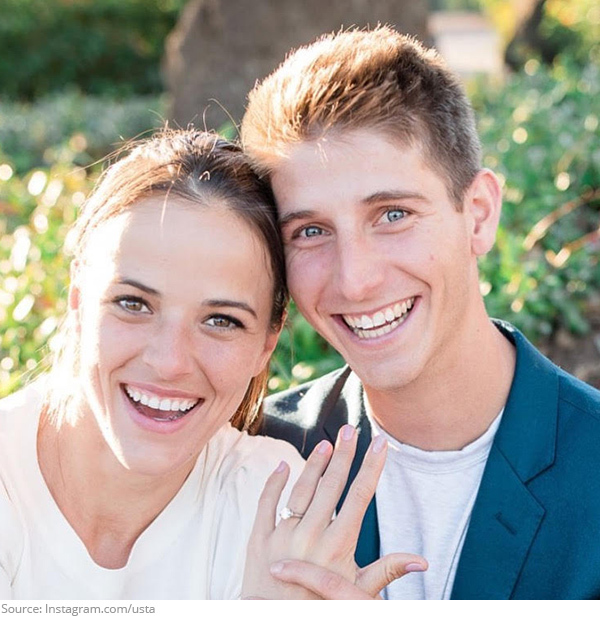 Congratulations to Nicole Gibbs and Jack Brody! 9. Top of the world! 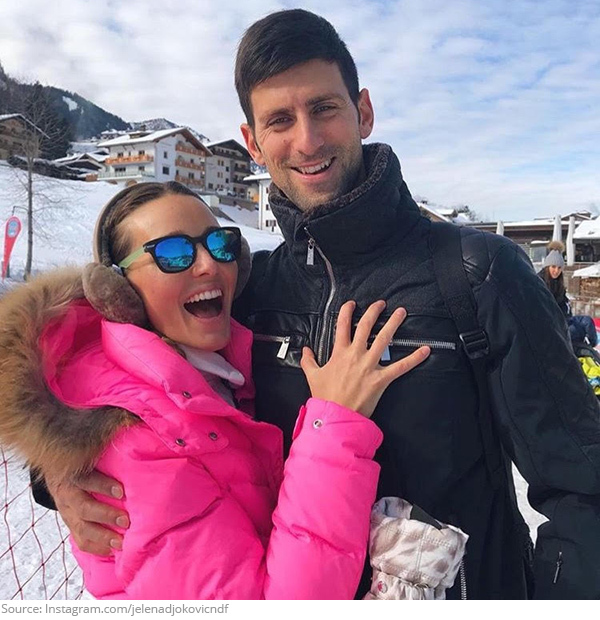 Ain't no mountain high enough to keep Jelena and Novak Djokovic apart! 10. Picture perfect! Sloane Stephens served up the smolder in her Sports Illustrated Swim suit spread! Is Stan Wawrinka Willing to Try Some Unique British Cuisine? Wimbledon Champion Garbine Muguruza Fan Challenge-Vamos Garbine!